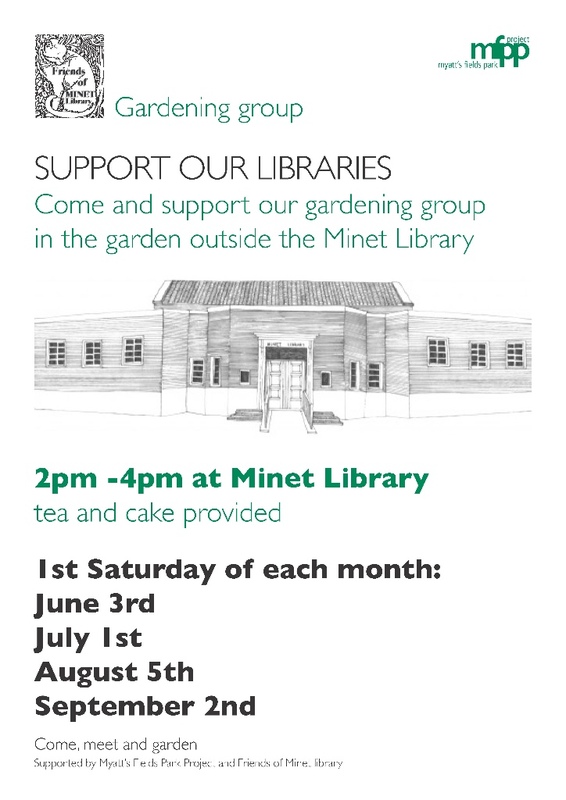 Support Minet library by helping to maintain the garden - we'll be planting and caring for the vegetables in raised beds this Saturday 2pm - 4pm. Contact friendsofminetlibrary@gmail.com for more information. 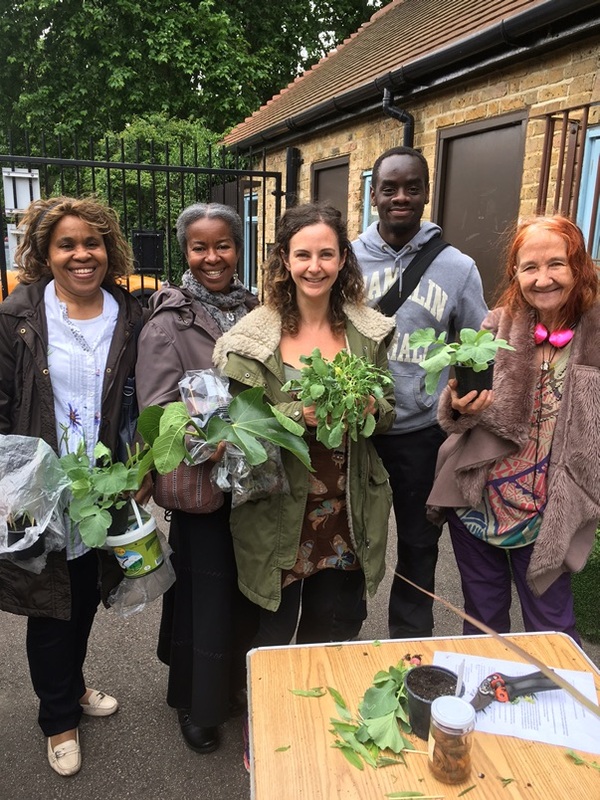 Sited at the beautiful Myatt’s Field community garden and greenhouse in Lambeth, the course will run for 7 weeks on Tuesdays 1-3.30 pm, starting again Tuesday 18th July with a welcome introduction and tour of the garden. The course content covers a strong practical introduction to organic gardening principles, moving away from chemicals and high energy artificial inputs and towards an effective nutrient, water and energy use, and practices such as crop rotation, companion planting, green manures and composting. 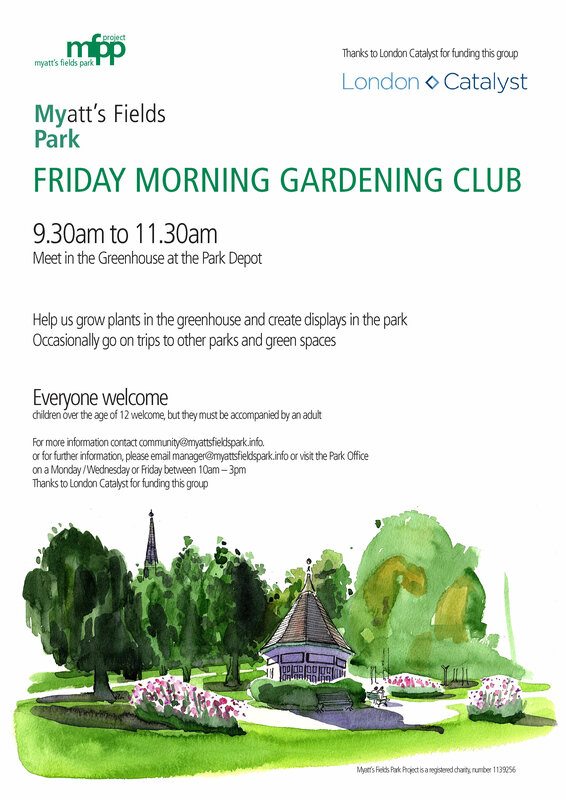 Vassall and Coldharbour Forum is very pleased to send out this information from Myatt's Fields Park Project and Friends of Minet Library. Please pass on through your networks. If you have local news that you want to publicise, please send to vassallandcoldharbour@gmail.com and we'll distribute it as soon as possible. If anyone would like to help publicising local news (for example by helping to put together a weekly ebulletin of local news) please get in touch. Copyright © 2017 Vassall and Coldharbour Forum, All rights reserved.